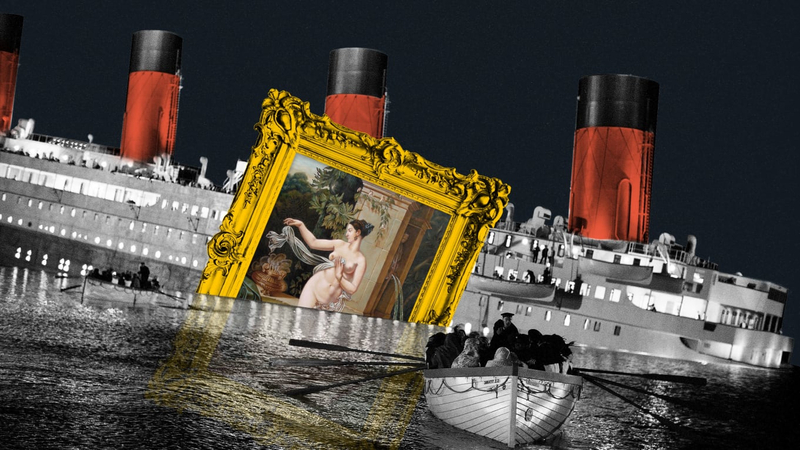 According to claims filed afterwards, Merry-Joseph Blondel's 'La Circassienne au Bain' was the most expensive object to be lost when the Titanic sank in 1912. As the doomed Titanic began its final countdown before disappearing under the sea 107 years ago, there was a last gasp of activity on the deck. These scenes have become well known thanks to big-screen adaptations of the disaster: the rush to load the few remaining life boats with women and children, the brave musicians who took up their instruments for one last concert, the tilt of the deck as the ship began to tip into the ocean. Mauritz Håkan Björnström-Steffansson knew these final moments all too well—he experienced them first hand. His life was saved at the last minute by a frantic leap into a nearby lifeboat as the Titanic began to sink, but 1,517 passengers and crew were not so lucky. Nor was his prized possession, an oil painting by the renowned 19th century French painter Merry-Joseph Blondel. 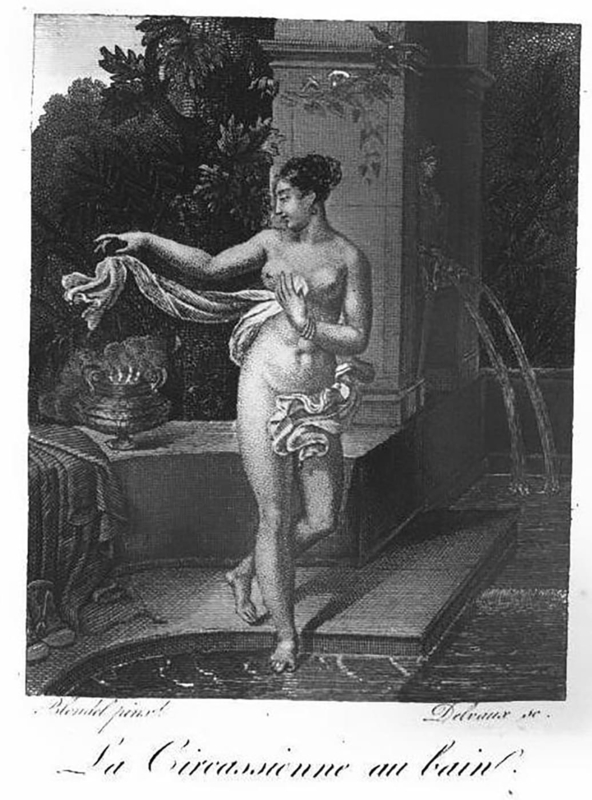 “La Circassienne au Bain,” also known in its early days as “Une Baigneuse,” made its debut at the Paris Salon of 1814 just as Blondel’s career was beginning to take off, though it took a few years before the critics warmed up to his bathing Circassian woman. 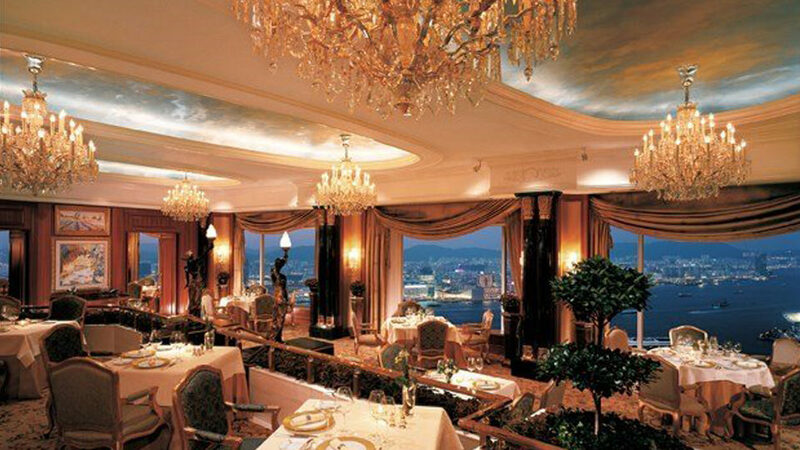 But in 1912, it reached its pinnacle of fame when it became the most expensive piece of property buried with the Ship of Dreams, at least according to the claims filed. 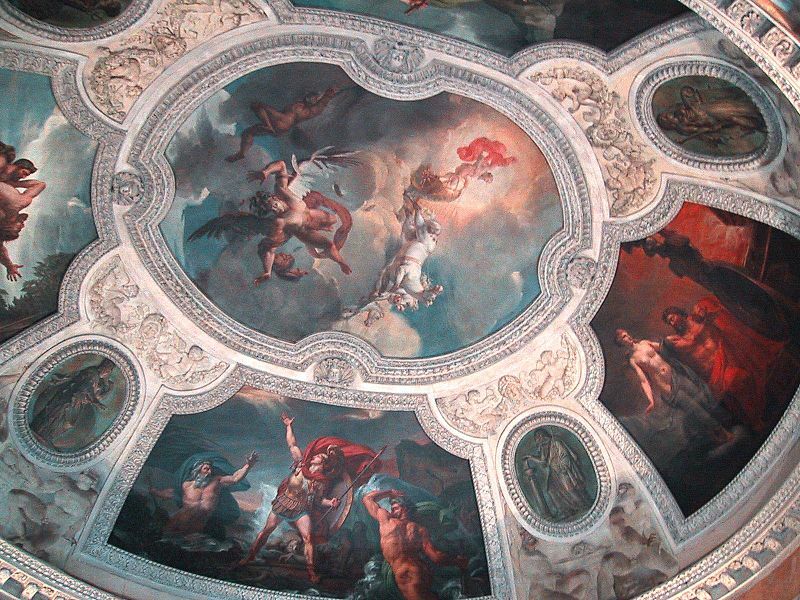 Starting in the late 17th century, the annual Paris Salon was the place for artists to exhibit their work in France. The state-sponsored Salons were where new artists were discovered, where established artists solidified their reputations, and where the public was invited to join in the cultural conversation. Blondel would eventually become one of France’s esteemed neoclassical painters. 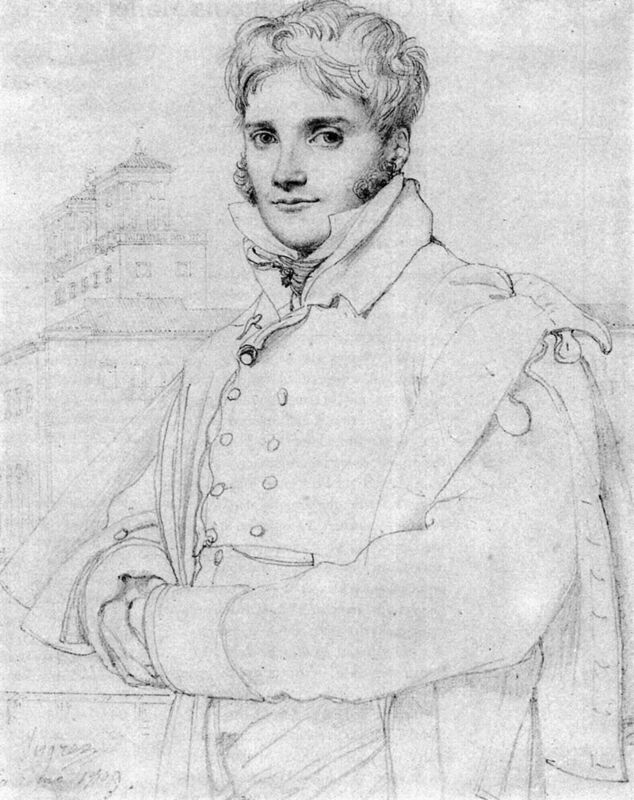 Throughout his long career, he was the recipient of public art commissions that continue to decorate some of the most important buildings in France including the Louvre and the Palace of Versailles; he was awarded some of the top honors of his day, namely the Prix de Rome in 1803 (courtesy of Louis XVIII) and the Légion d’Honneur two decades later (with thanks to Charles X); and he was named to prestigious academic positions. 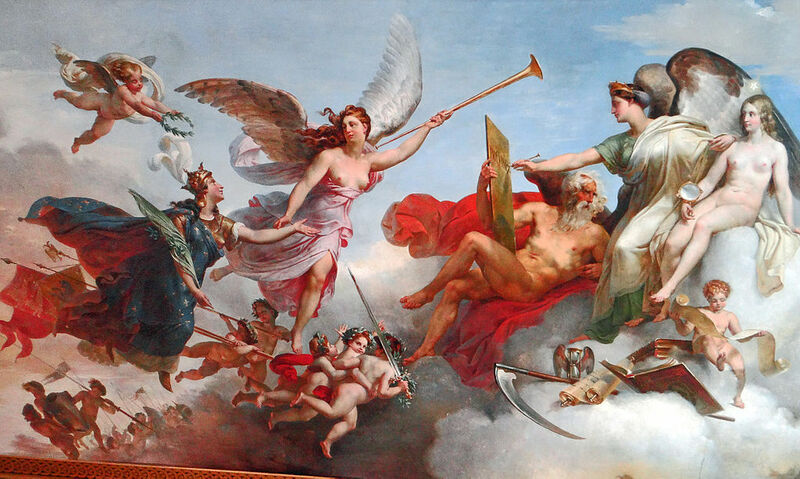 But early in his career, in 1814, he was surely delighted when four of his works were accepted for exhibition in the Louvre rooms at the annual Paris Salon. “La Circassienne au Bain” was among them. 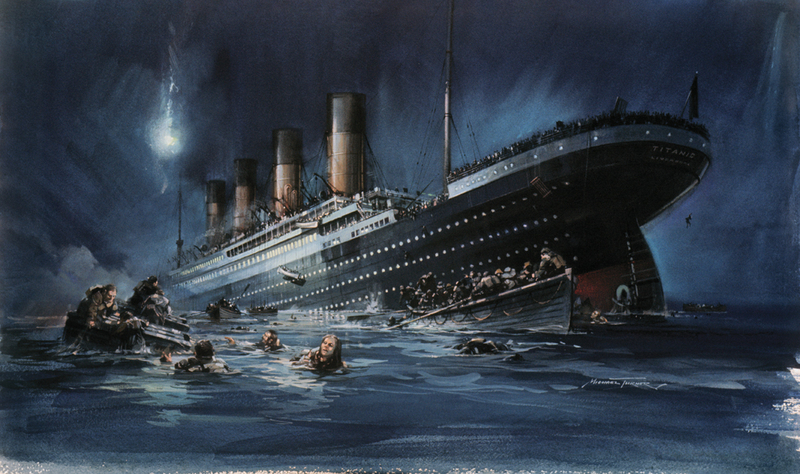 Initially, the historical loss of this work on the Titanic was near total. Not only did the actual painting perish at sea, but there was little information left behind as to what it once looked like—few descriptions existed and there were no reproductions or photographs of the original, only one engraving. 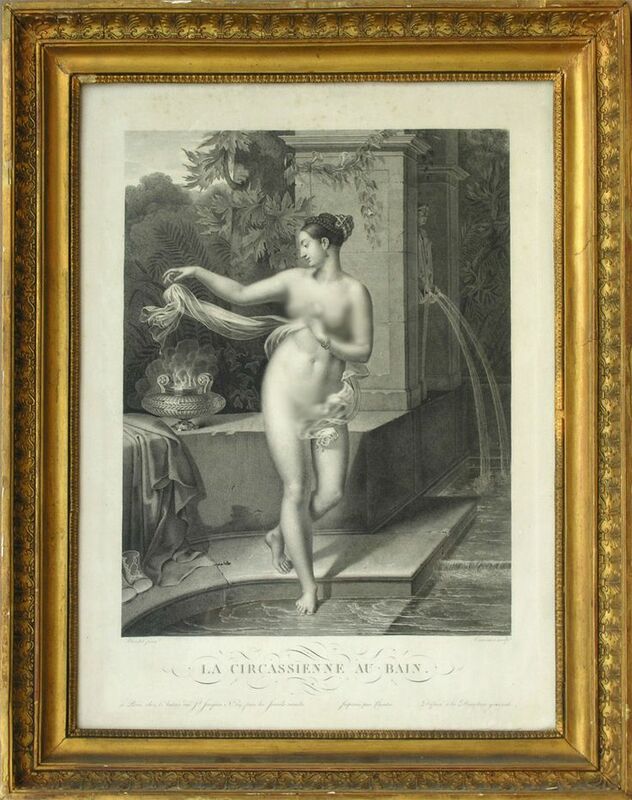 “La Circassienne au Bain” Reproduction by "John Parker"
When Blondel showed this work in 1814, he had only been back in France for a few years after his stint studying art in Italy. Three years later, he would win a gold medal at the Salon, but in 1814, at least one of the four paintings, the one that was doomed to a watery grave a century later, did not receive overwhelming praise. “His design and color lack truth and finesse, and we can say nothing in favor of this work, except that it is executed by a very skillful artist in practice,” French artist and art critic François Séraphin Delpech wrote of “La Circassienne au Bain” in his review of works at that year’s Salon. 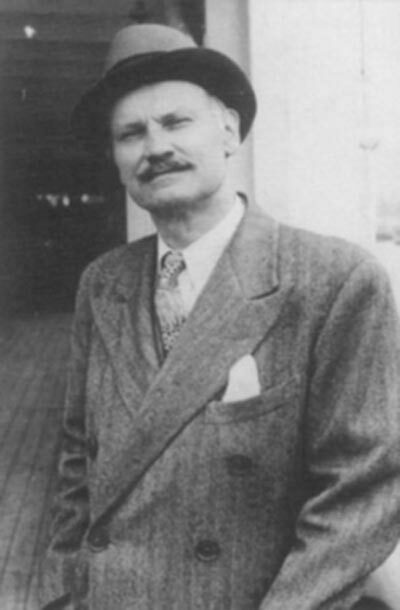 In 1912, Björnström-Steffansson was the 28-year-old son of a Swedish pulp baron, and he was preparing to travel to the U.S. to further his studies. As was only natural for a prominent young lad in that year, he had secured passage on the inaugural voyage of the Titanic, the ship being hailed as the largest and grandest to ever sail the seas. Before he left, Björnström-Steffansson purchased a masterpiece—the famed French painter Merry-Joseph Blondel’s early work “La Circassienne au Bain”—to take with him. What drew him to this piece, what he paid for it, or why he decided to purchase it before traveling to America to start a new life is unknown. What is known is that when Björnström-Steffansson boarded the Titanic on a first-class ticket, the Blondel was with him. During the early days of the voyage, Björnström-Steffansson fell in with a group of other first-class passengers including the English businessman Hugh Woolner. It is from the testimony of Woolner during a U.S. congressional inquiry into the disaster that we know the details of what Björnström-Steffansson experienced on that fateful night. 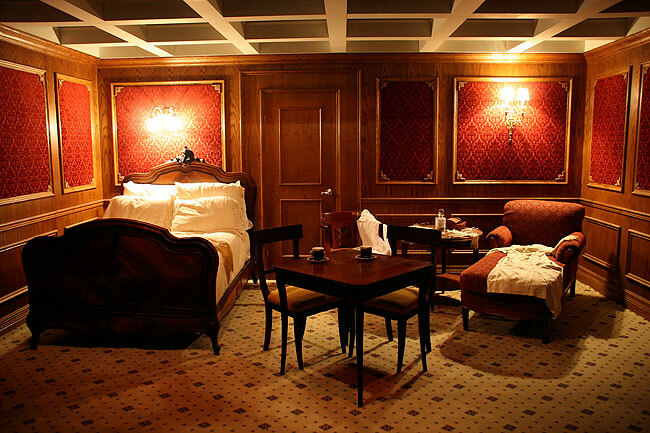 On the evening of April 14, Woolner and Björnström-Steffansson were in the smoking room when the Titanic struck an iceberg. “We felt a sort of stopping, a sort of, not exactly shock, but a sort of slowing down; and then we sort of felt a rip that gave a sort of a slight twist to the whole room,” Woolner testified. After retrieving life jackets from their respective quarters, Woolner said the two men met up back on deck and began assisting women and children into the lifeboats. 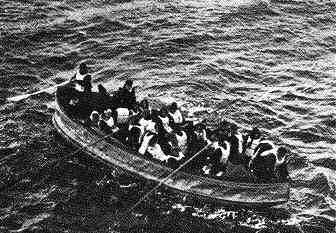 They also came to the aid of First Officer Murdoch when a group of men tried to swarm one of the starboard-side boats. n the later category, there were claims for jewelry, rare books, cars, a set of bagpipes, and a signed picture of Garibaldi. But the most expensive claim of all was by Björnström-Steffansson who requested $100,000 (or the equivalent of over $2 million today) in compensation for the drowning of “La Circassienne au Bain.” It’s unclear how much money Björnström-Steffansson received. 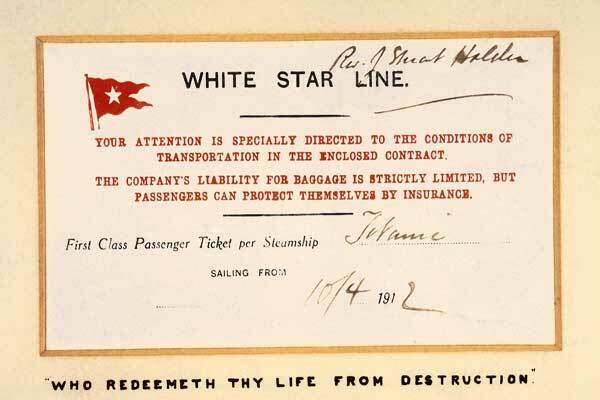 In the end, White Star settled all of the claims for a total of only $664,000. There was one bright spot for the Swedish businessman, who ended up making the U.S. his home. Five years after the sinking of the Titanic, he married a woman to whom he was introduced by a fellow Titanic passenger, one he and Woolner had helped to save. The Björnström-Steffanssons remained married for the rest of their long lives.